GEOCONSULT LTD – SPANOS S.A. 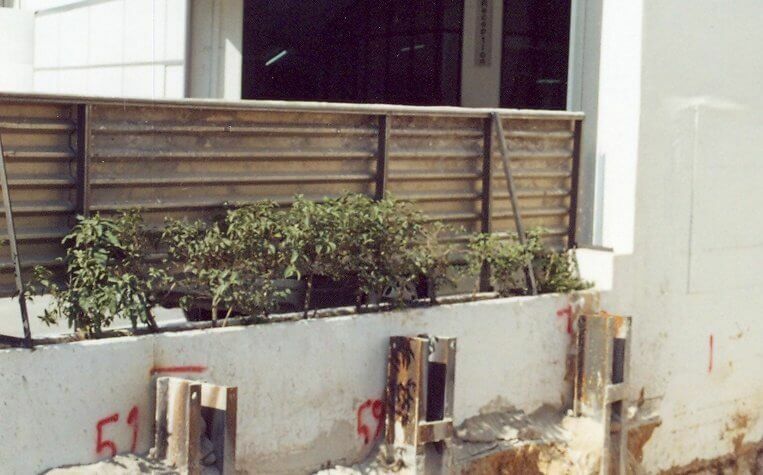 RETAINING WALL CONTRACTOR EDRASIS – CH. PSALIDAS S.A. The location of the project is within Building Block No 276 at Syngrou and Amfitheas Avenues in Nea Smyrni, at a distance of 1,0 km approximately northeast of the Faleron Bay. 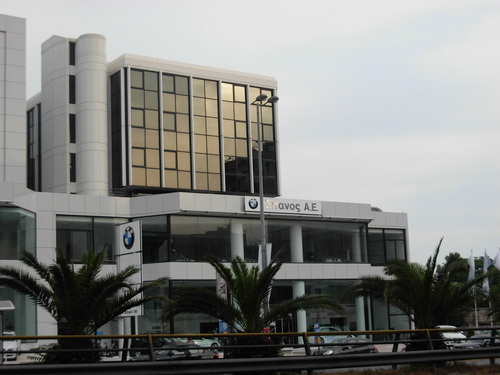 The project is defined to the northwest by Syngrou Avenue, to the northeast by Amfitheas Avenue and to the southwest by a 5-storey building with one basement. 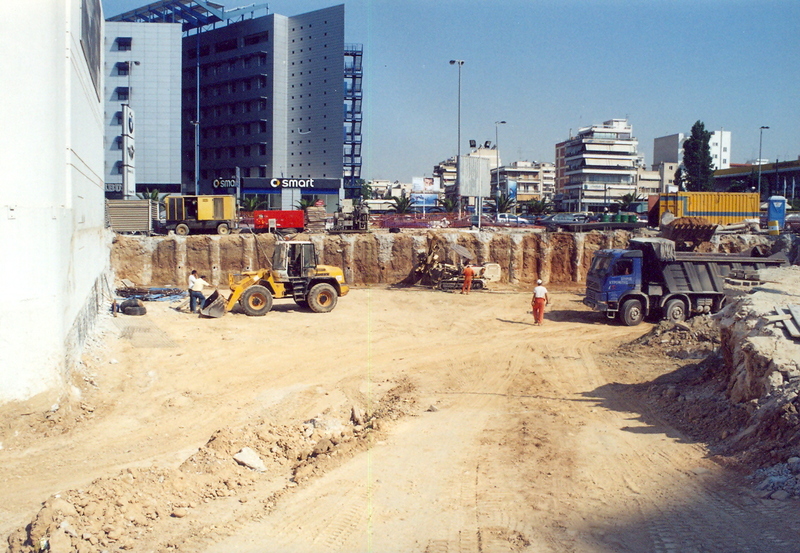 To the northeast, Amfitheas Avenue, due to the flyover with Syngrou Avenue, passes about 2.00 – 5.00 m lower from the level of the property. 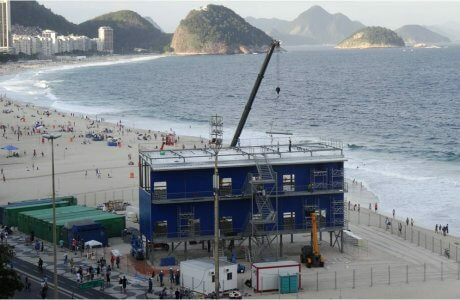 The project loaction is relatively flat, with a minor inclination towards the sea. 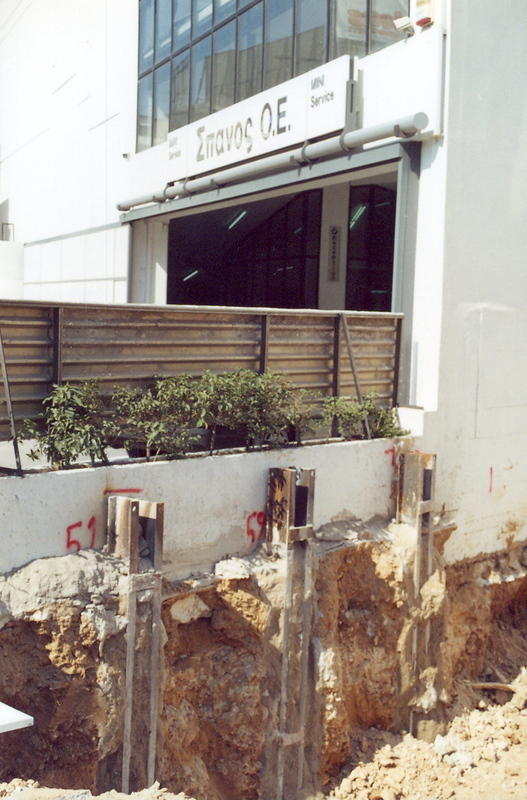 At the project location a multi-storey building with three basements was constructed. The building’s bearing structure is made of reinforced concreete. The undergounr floors cover the entire surface of the propery, within the building limit. 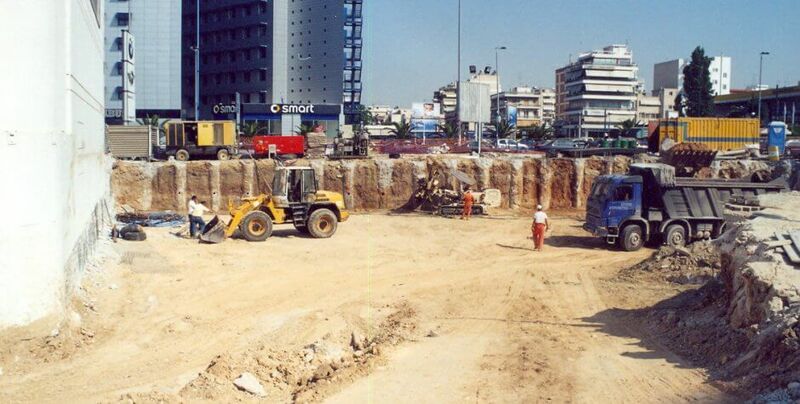 The excavation for the contruction of the three basements reached a depth equal to 12.70 m approximately from the level of the junction of Syngrou Avenue with Amfitheas Avenue. 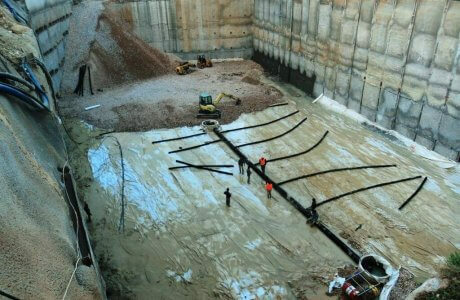 Geotechnical investigation based on 3 exploratory boreholes of cumulative depth of 60 m approximately, followed by the relevant soil laboratory tests, preparation of a factual and interpretive report and foundation proposals. 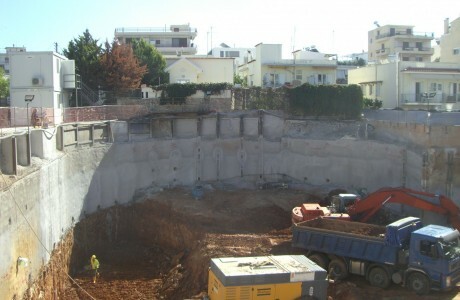 Construction of a new Mall with 3 garage basements in Platanias, Chania, Crete.